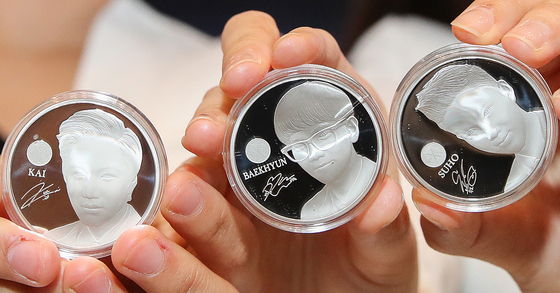 Official commemorative medal of K-Pop star EXO has been released. 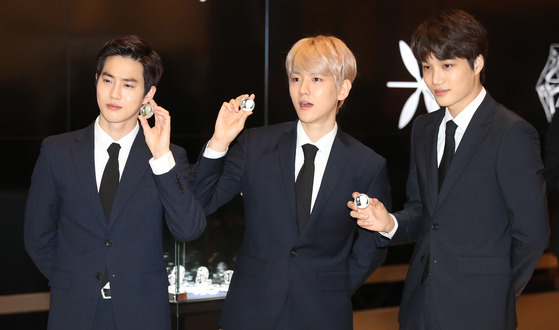 Korea Minting and Security Printing Corporation a.k.a KOMSCO disclosed EXO's commemorative medal in Seoul’s COEX SM Atrium on April 18. 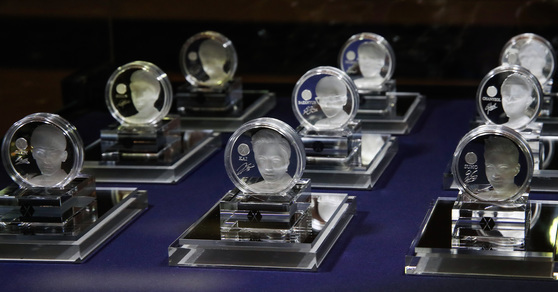 Korea's best currency designer has designed 9 different faces of EXO members on the front side of the medal, and the latent images have been applied to prevent possible forgery. Together with EXO's logo, commemorating phrase are printed at the back of the medal. The medals will be available in regular and special package versions. They are identical in design but differ in sizes and packages. 'Special package medal' comes with a round silver medal (weight 31.1g, purity 99.9%, diameter 40mm) with a luxury displaying case. 5000 single medals and 100 sets of medals containing all 9 members will be produced in limited quantities. 'Regular package medal' comes with a round silver medal (weight 15.55g, purity 99.9%, diameter 28mm) with a regular displaying case. Advance orders can be placed starting from 12 pm on April 23, while each person is restricted to purchase a single medal and a set. Advance order of the regular package can be placed starting from 12 pm on April 30. These orders are accepted only for a week, and it will only manufacture limited quantities being placed during the week. 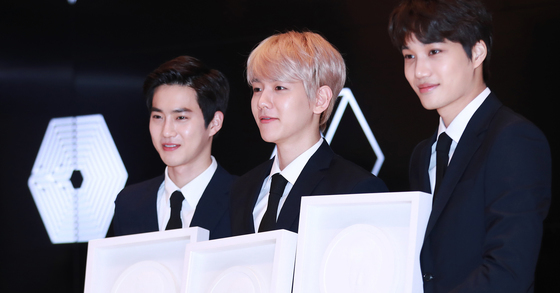 EXO became the first to be entitled as 'Quadruple Millionseller' in South Korea by reaching a million sales in 4 different albums after their debut in 2012. 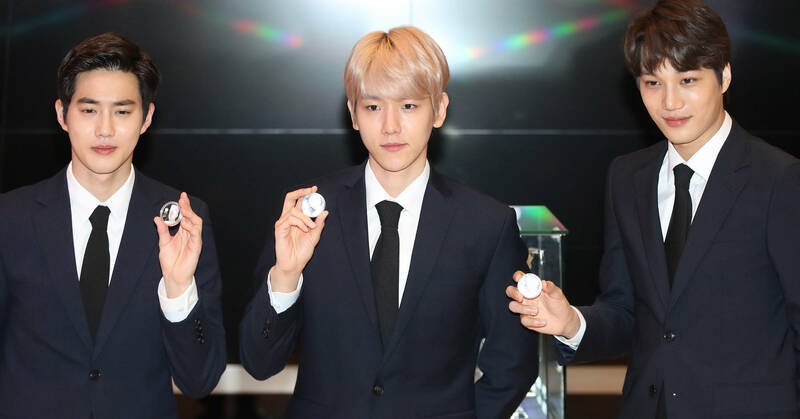 President of KOMSCO, Cho Yong-Man mentioned "I wish the EXO commemoration medal created with global production technology and sophisticated design will help proliferating Korean cultures. I look forward to heightening national brands by creating multitudinous medals". The price and order method will soon be posted.